A hard inquiry is when a prospective lender checks your credit report to make a decision. Hard inquiries can lower your credit score by a few points (five or fewer for most people) and typically stay on your report for two years. They are triggered when you apply for a credit card, auto lease, mortgage, or other loan. In some cases, a hard inquiry may be worth it. For example, opening a credit card might initially ding your score a couple of points, but if you use it wisely and don’t accrue a huge balance, the increased available credit and better credit mix will benefit your score in the long run. It’s best to avoid hard inquiries when possible, but always be sure to weigh the pros and cons of your financial decisions. Sometimes a short-term dip is worth the long-term boost. A soft inquiry, by contrast, is when a company checks your credit report as part of a background check. They don’t affect your credit at all, which is fortunate because soft inquiries tend to happen without your knowledge or permission. If a direct marketing campaign tells you that you’re “preapproved” for a loan or credit card, it signals that they may have pulled a soft inquiry to see if you are a good candidate for their product. These also occur as part of pre-employment screenings in states that don’t restrict this. You can do yourself a favor by pulling your own soft inquiries from free credit report sites. 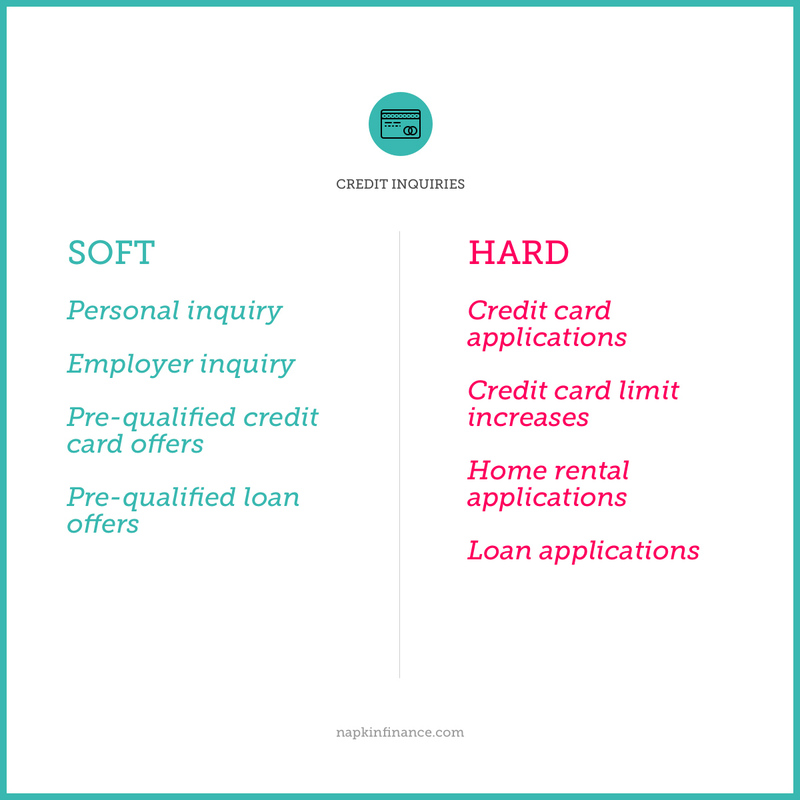 Soft inquiries don’t affect your score at all, and even hard inquiries typically don’t affect your credit score by much. Such factors as your payment history and Credit Utilization Ratio are weighed more heavily. Checking your credit score hurts your credit. Myth! Checking your credit score does not hurt your credit, as this is a soft inquiry. Maxing out your credit cards. Just because you have a credit limit does not mean you should hit it! You should aim to have your balance be one-third of your limit or less. Putting all your eggs into one basket. Credit mix accounts for 10% of your credit score, so keeping all your debt in loans or credit cards is not ideal. If you must have debt, diversify, e.g., credit cards, personal loans, auto leases. Renting a car without a credit card. When you rent a car without a credit card, the rental company is likely to check your credit score. That is another hard inquiry that hurts your score! Leaving bills unpaid. It can be tempting to ignore that medical bill or skip a credit card payment to free up some extra cash, but unpaid debts get sent to collections, which can severely damage your credit. Always pay all your bills on time. Your credit score rises with consistent, timely repayments of borrowed money. Pay all your bills on time. This is the most important factor in determining your credit score. Keep the balances on your credit cards low. Be cautious when opening utility accounts and signing phone contracts. Some utility companies conduct a hard inquiry. Ask your utility provider what type of credit inquiry will occur before moving ahead. Ask before you open a checking account too. 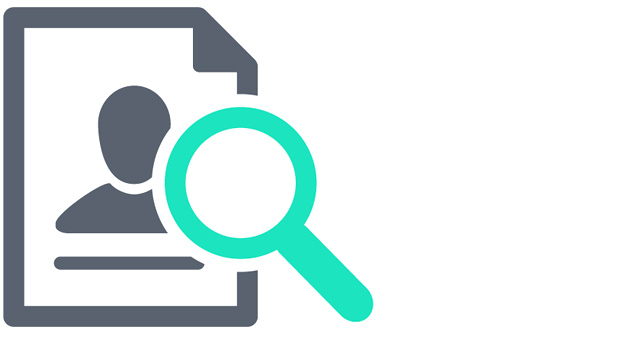 Many banks and credit unions conduct an inquiry because they’ve been stuck with having to make good on overdrawn accounts for people who wrote bad checks and disappeared, but this usually takes the form of a soft inquiry. Still, some do conduct hard inquiries, which could negatively affect your credit score. Avoid a lawsuit! Not only can it hit court records available to the public, but it also may affect your credit score if a judgment is issued requiring you to pay a sum of money.